This was a piece written in May 2009 by an old pal and LA writer Blair Tindall and it captured the essence of The Luncheon Society when we celebrated the 5th anniversary of the Mars Rover landings in Beverly Hills back in January 2009. Blair is probably best known for her memoir Mozart in the Jungle, which captured the harrowing life of the free-lance artist trying to make a career in the music business. “The best conversations always happen after the second glass of wine,” laughed Bob McBarton as he strode into Morton’s Steakhouse in Beverly Hills and began leaving a thick pile of biographies at each seat. Collated and stapled, they detailed the diverse backgrounds of thirty members of The Luncheon Society a private assemblage of people with almost nothing in common, except their love for the lost art of conversation. 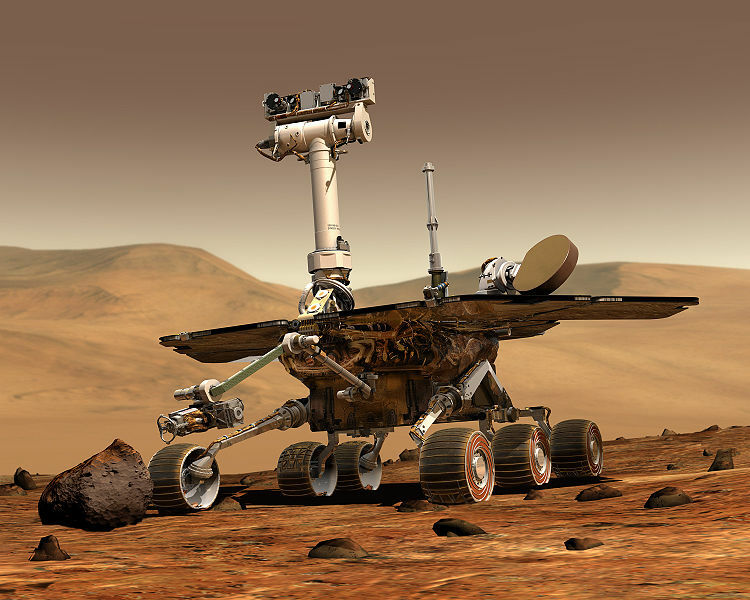 They gathered to celebrate the 5th anniversary of the landing of both Martian Rovers on the Red Planet with Dr. Steven Squyres , the mission’s Principal Investigator, leading the conversation. Waiters served cocktails as unlikely alliances emerged between scientists, politicians, lawyers, entrepreneurs, actors, writers, and academics alike. A concert cellist who designs chips for Microsoft discussed the state of filmmaking with a major film archivist in Southern California. 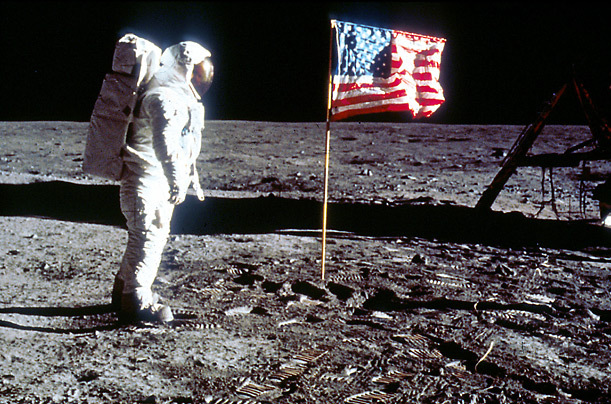 Several attorneys found themselves talking with two men who sent unmanned spacecraft to the surface of the Moon during the early 1960’s that paved the way for those first steps by Neil Armstrong and Buzz Aldrin. Space architect John Spencer, who helped design parts of the International Space Station, walked though his plans for to recreate the Martian surface in the Nevada desert to the Senior Counsel at MGM as well as a West LA political activist who raised funds for President Obama, long before he emerged on the national scene. Vanity Fair writer Cari Beauchamp, who nursed a well-deserved cocktail after receiving great notices from her biography of Joe Kennedy’s Hollywood years, regaled tales from the hurly–burly days of the mid 1970’s when she served as Jerry Brown’s Press Secretary to a pair of wide-eyed entrepreneurs and a doe–eyed UCLA law professor. When everybody finally sat down to an evening of halibut, prime beef and summer tomato ravioli, Squyres walked a rapt audience through his team’s epic and grand adventure, which continues after 5 years in a harsh and alien locale. 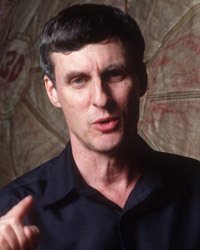 As the protégé of the late Carl Sagan flipped through his slides, McBarton managed the ebb and flow of the greater conversation from his tablemates, modulating from comments and questions about technology to space policy, then to pop culture by bouncing off friends like Andre Bormanis – who wrote twenty Star Trek episodes and trained in physics as an undergrad at the University of Arizona. McBarton grew up in suburban Rochester before he headed to west where he majored Political Science at the University of California-Davis. He started The Luncheon Society in 1997 with two other close friends because they wanted to understand how a 1960’s Berkeley radical who ran as a left wing Third Party Presidential candidate a decade later could end up as an investment banker. They found out, had a great meal at one of Berkeley’s historic hotels and with that, The Luncheon Society was born. Since then, The Luncheon Society has grown to over twelve hundred members, meeting in Los Angeles, San Francisco, and increasingly, Manhattan. It mixes some of the liveliest minds and it has become a must–stop for writers on tour as well as a testing ground for political figures who try out new themes. It’s a throwback to the Algonquin Round Table of old. Whether it is a gracious luncheon with Mario Cuomo at Manhattan’s private Lotos Club or a raucous late evening dinner with Jimmy Breslin in the heart of Times Square where he mourned the disappearance of the hookers and panhandlers, The Luncheon Society summons what George Plimpton used to call, “a great goggle of people,” where interesting minds and great conversations blossom into long term friendships. In early June, set against the faux glitz of Hollywood, The Luncheon Society found itself at the intersection between politics and entertainment as former Tri Star and Orion studio head Mike Medavoy , who played a role in the creation of over 300 films, spoke passionately how about America’s greatest export, our culture, is helping to pierce the dark and repressive corners of the globe. NPR commentator and poet Andrei Codrescu flew in from his Arkansas home with to talk about his new book, “The Posthuman Dada Guide” over a glass of Maker’s Mark on the rocks and suggested that Silicon Valley was the prototypical Dadaist universe as companies were being created, destroyed, and then created yet again. When his words turned to the surrealist Man Ray, Robert Kraft, the President of Fox Music, recalled a summer spent at nineteen, studying with Man Ray and Marcel Duchamp as comments ricocheted across the room. Like Codrescu’s book, there is a Dadaistic quality to The Luncheon Society because each gathering takes on a patois of its own before it being replaced by the next. There is never any schedule; The Luncheon Society happens when it happens. In the end, members simply split the cost of the meal. “Think of The Luncheon Society as that great survey course in American culture, the one you always wanted to take in college but could never find time to fit in your schedule,” said McBarton. During that Beverly Hills evening, Bob wanted to give Steve Squyres a chance to enjoy his meal which waited patiently as he spoke about his vicarious adventures on the Red Planet. As he dove into his steak, McBarton posed a question for those around the table, made more prescient since Buzz Aldrin joined at the conversation at the last minute. Bob asked everybody to recall where they were when Apollo 11 touched down on the lunar surface during the summer of 1969. Most of the answers centered on families huddled together in front of grainy black and white televisions. Some, now long retired, were working at NASA while others were grad students watching in awe. As the answers from Bob’s questions rounded the final turn of the table, many quietly wondered how the second person to walk on the moon might respond, when the question came to him. Blair Tindall is a writer in Los Angeles.